Installing solar panels is a great way for homeowner to save big on their utility bills. But some homeowners hesitate over the cost. (Of course, you could always seek financing—getting a loan may be easier than you think, especially with PACE.) Luckily, there are other ways to save. Take a look at the home energy efficiency checklist prepared by the experts at RC Energy Solutions. Then just follow our suggestions to maximize your home’s energy efficiency. If you live in inland San Diego County, Temecula, or anywhere where temperatures soar in the summer, chances are you run your air conditioner a lot. And that can lead to high utility bills, especially if you have an older air conditioning unit. In fact, the Department of Energy says that 10-year-old air conditioners use 20 to 40 percent more energy than newer, more efficient models. Ready to upgrade your A/C and reduce that utility bill? Be sure to look for a model with a high SEER rating. SEER stands for seasonal energy efficiency ratio and refers to how much energy the unit needs to produce the desired cooling output. The higher the number, the more efficient the air conditioner is. California requires a minimum rating of 14 SEER for new units, and SEER can go up to 21. Really old air conditioners might only have a SEER of six, while those that are less than 10 years old could have SEER ratings of eight or nine. Some homeowners try to find additional savings by upgrading their existing air conditioner with a new coil and a new condenser. There’s a problem with that approach, though. You just won’t be able to obtain those higher SEER ratings. Your best bet is to replace all the parts at once, or put in a whole new unit. That’s the easiest way to get that 14-SEER or 16-SEER rating. Your new air conditioner with a high SEER will be much more efficient than an air conditioner with a lower rating. That’s how you save in the summer months. But here’s the bad news: While an air conditioner with a high SEER will save you money, you could end up canceling out those savings if your home is energy efficient in other areas. That brings us to item two on our home energy efficiency checklist. Take a look at your windows. Are they low-efficiency single-pane aluminum windows, or are they energy-efficient double-pane vinyl windows? If they’re aluminum, replacing them with double-pane vinyl windows can save you money while also increasing the comfort and beauty of your home. Unlike aluminum, vinyl doesn’t conduct heat. But that’s just one way that replacement vinyl windows can keep you cooler in the summer. High-quality vinyl windows have a tight seal that strengthen your home’s thermal envelope. Aluminum windows are often drafty, especially in older homes, so the air conditioning and heating that you pay for goes right out the window. Double-pane vinyl windows also have special coatings to reflect heat back in the direction it came from. In the summer, the sun’s heat stays outside, as do the majority of UV rays. In the winter, the heated air from your furnace stays inside. And in between the two panes is a space filled with gas (usually argon), which provides extra energy efficiency. Of course, not all double-pane vinyl windows are created equal. To get the most efficient windows, you have to look for two important ratings, the U-factor and the Solar Heat Gain Coefficient (SHGC). Windows with lower U-factors are able to resist heat loss and provide better insulation for your home. The SHGC measures how much of the sun’s heat the window can block.  The rating range is from 0 to 1, and a lower number is better. So, an SHGC of 0.3 means that the window is better at blocking radiant heat than an SHGC of 0.7. Replacement vinyl windows have another important benefit, too. They can freshen up your home’s look and give it extra curb appeal. Replacement vinyl windows also create an effective sound barrier to muffle outdoor noise. Many of our customers who have switched to double-pane vinyl windows marvel at how much quieter their houses are with new windows in place. There’s still one more energy item on our home energy efficiency checklist. While it may not be super-exciting, it is necessary. You may have never given much thought to your home’s insulation, but proper insulation is vital for boosting energy efficiency. As we mentioned, air conditioning and heating can leak out through drafty windows. Homes also lose heat through the walls, the floor, and the roof. Of course, homes are built with insulation, but it may not be enough. We often find that attic insulation is skimpy or nonexistent. In fact, we recently worked with a client who felt that his home’s second story was too hot, even though he had solar panels and was running the air conditioner constantly. Why? Because his attic wasn’t insulated at all. He wanted to bring down the temperature by 10 degrees, so we installed attic insulation and added a solar attic fan. Now his upstairs is much more comfortable. Here’s the takeaway: Just checking off one item on the home energy efficiency checklist can help a little bit, but to make a significant difference, you need to take care of all three items. An air conditioner with a high SEER rating won’t serve you very well if cool air is escaping through drafty aluminum windows and hot air is pouring in from an uninsulated attic. RC Energy Solutions can help. We’ll take care of all the items on your checklist, and we offer special bundle discounts for greater savings. We offer a free in-home consultation to assess your needs and craft a custom solution. To get started, contact us today.